2014 February « CASE CLOSED … what really happened in the 2001 anthrax attacks? 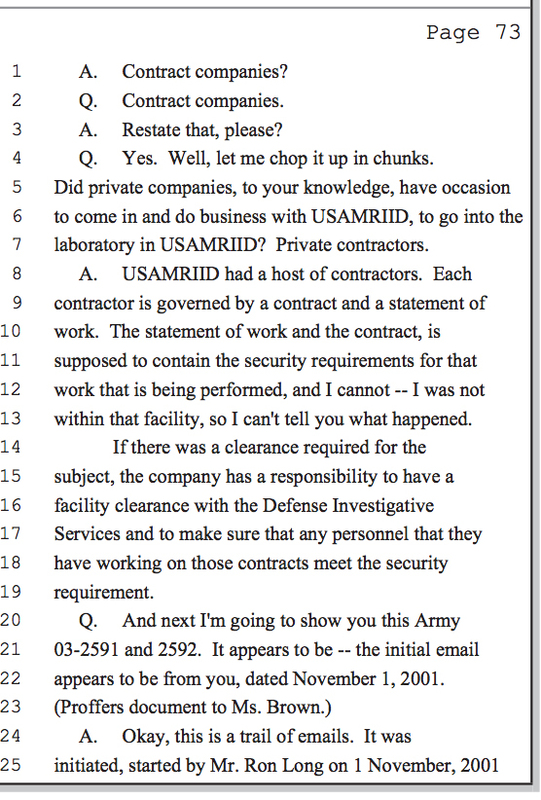 * 10 questions related to USAMRIID’s secret dried aerosol project … all previously asked on this blog … that the GAO report should have answered … except there is no GAO report! 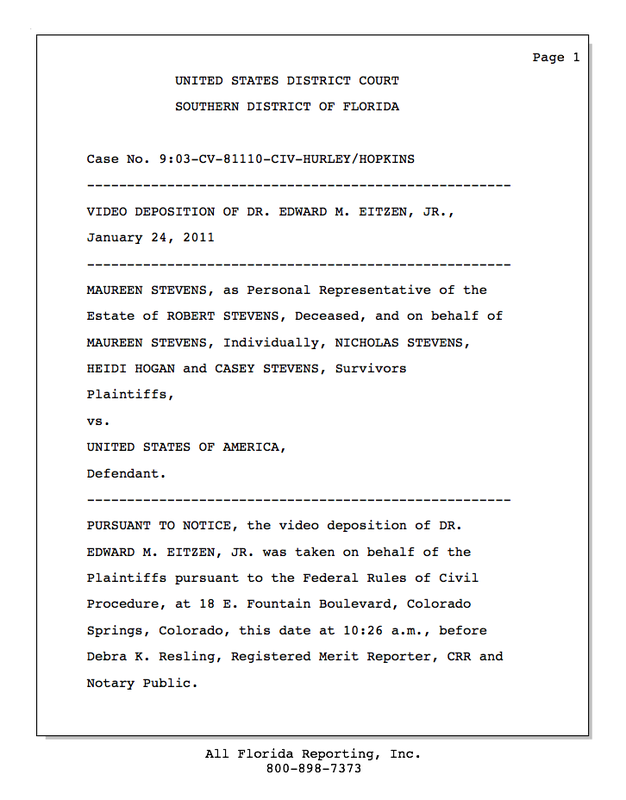 The FBI’s case against Dr. Bruce Ivins has been thoroughly demolished on this blog. 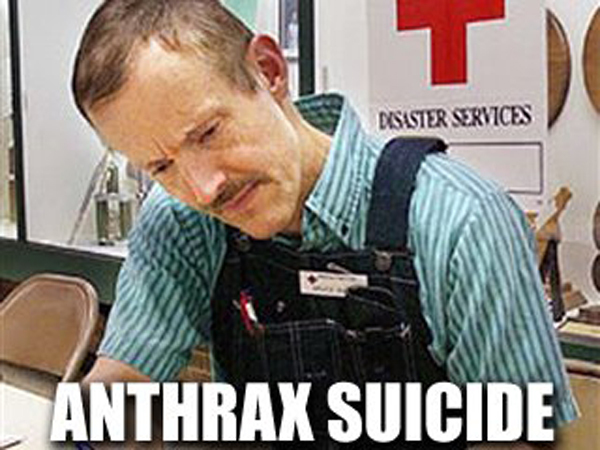 The real perpetrators of the 2001 anthrax attack are still out there. Why does no one seem to care? In March 2011, in response to a request from Congressman Rush Holt (D, NJ), the Government Accountability Office (GAO) undertook to review the seriously flawed FBI investigation of the 2001 anthrax attacks. The GAO suggested it would report within 9 months to a year. But now, 3 years later, there is no report. Congressman Holt has announced he will not run for re-election. 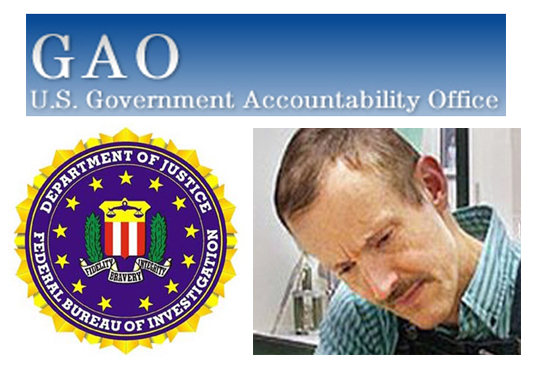 Will there ever be a GAO report? Has the GAO become part of the coverup? 1. Who Was The Only Person In [Redacted] Spoke To About The Dried Aerosol Project? Was It Ivins Assistant, The Aerosol Expert Pat F.? It Was Not Ivins Because His Name Would Not Have Been Redacted. 3. 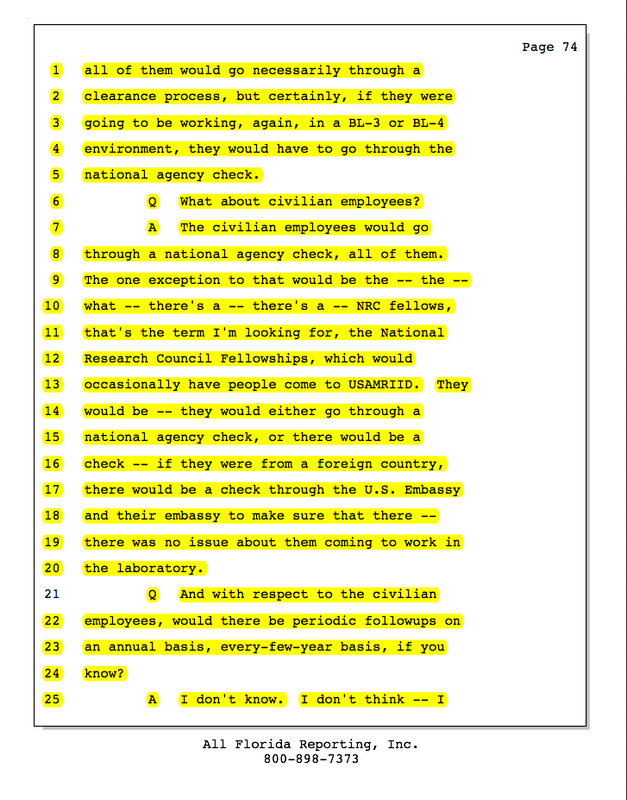 Was the sample that Dr. Ivins says he was told was from Iraq — but wasn’t — actually from the dried aerosol project that had been launched at USAMRIID unbeknownst to Dr. Ivins? Who brought it to him? Where did it come from? 4. 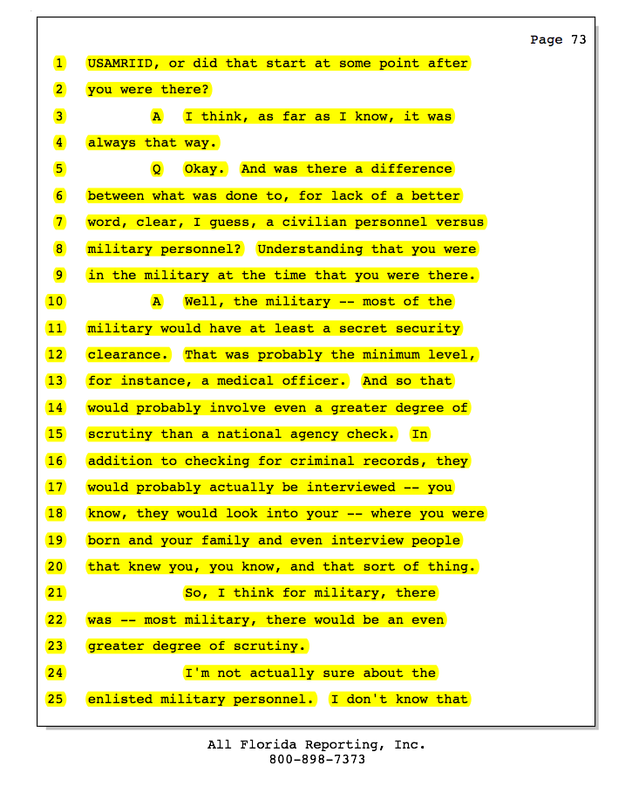 Dr. Ivins reports he had not known the FBI anthrax expert made a dried powder out of Ames from RMR 1029 for DARPA until after 9/11; did the FBI scientist and his assistants participate in the dried aerosol project at USAMRIID? 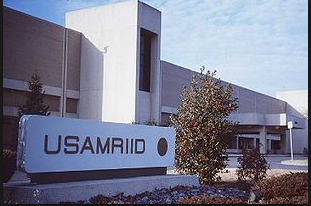 5. Who did this dried aerosol study at USAMRIID? 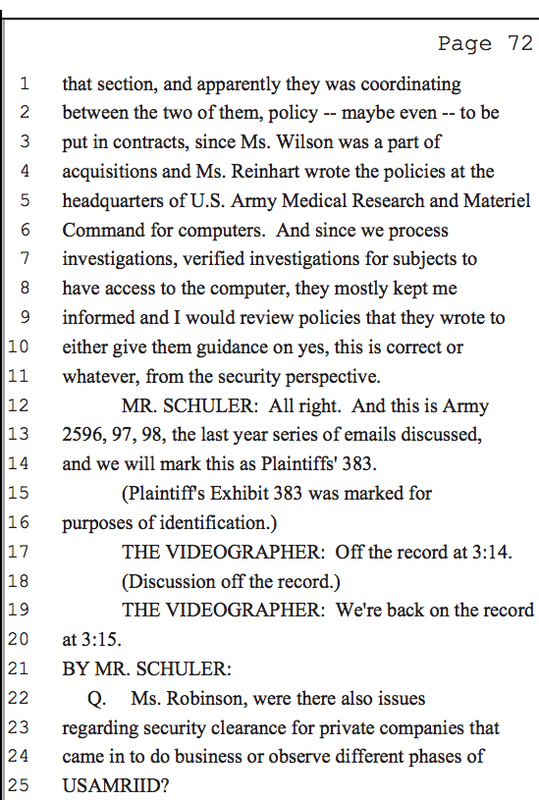 6. Who worked alone on the dried aerosol project in Building 1412 and what does he or she say about the research? Was virulent Ames ever made into a dried powder in Maryland or Virginia? 8. 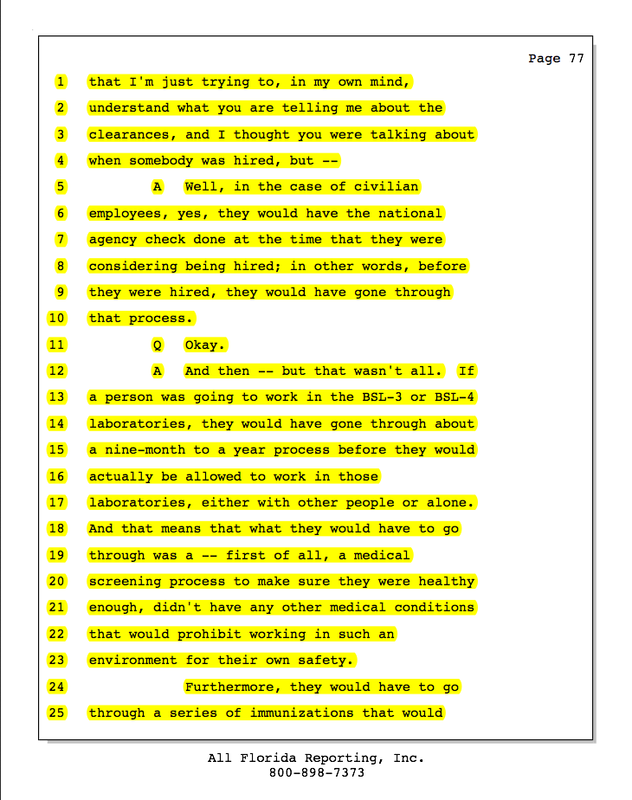 More on dried aerosol project: Was it Southern Research Institute that was considered for the contract? Who thought he was above the investigation? 9. 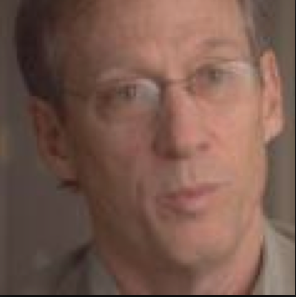 DXer: John Ezzell forthrightly (to my way of thinking, heroically) answered all my questions relating to the DARPA research in which Flask 1029 (the “murder weapon” to borrow US Attorney Taylor’s term) was used to make a dried powder Ames aerosol. 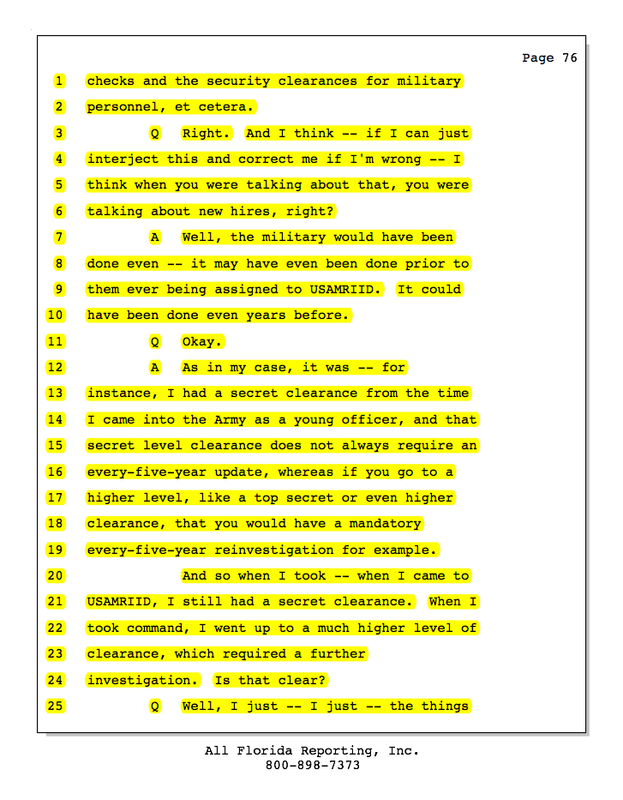 10. why did the FBI keep evidence of John Ezzell’s dried powder from the NAS? Ali Al-Timimi shared a suite with the leading DARPA-funded Ames researchers who co-invented a patent in Spring 2001 to grow anthrax in silica, thus concentrating it. The silicon signature should have sounded alarm bells but a Red Team, whose membership has been kept from the public, decided the FBI should not pursue the red hot forensics lead. sounds more plausible than anything asserted by the FBI. 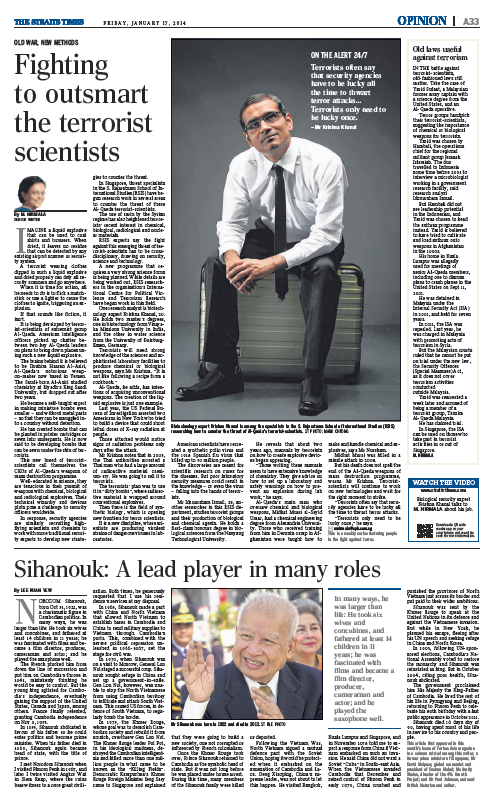 * 2014 Straits Times report : Into what weapons did Yazid Sufaat attempt to load anthrax? IN THE battle against terrorist-scientists, old-fashioned laws still matter. Take the case of Yazid Sufaat, a Malaysian former army captain with a science degree from the United States, and an Al-Qaeda operative. Terror groups handpick their terrorist-scientists, suggesting the importance of chemical or biological weapons for terrorists. Yazid was chosen by Hambali, the operations chief for the regional militant group Jemaah Islamiah. The duo travelled to Indonesia some time before 2001 to interview a microbiologist working in a government research facility, said research analyst Idznursham Ismail. His home in Kuala Lumpur was allegedly used for meetings of senior Al-Qaeda members, including one to discuss plans to crash planes in the United States on Sept 11, 2001. 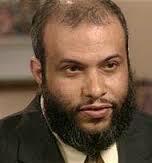 He was detained in Malaysia under the Internal Security Act (ISA) in 2001, and held for seven years. In 2011, the ISA was repealed. Last year, he was charged in Malaysia with promoting acts of terrorism in Syria. But the Malaysian courts ruled that he cannot be put on trial under the new law, the Security Offences (Special Measures) Act, as it does not cover terrorism activities conducted outside Malaysia. 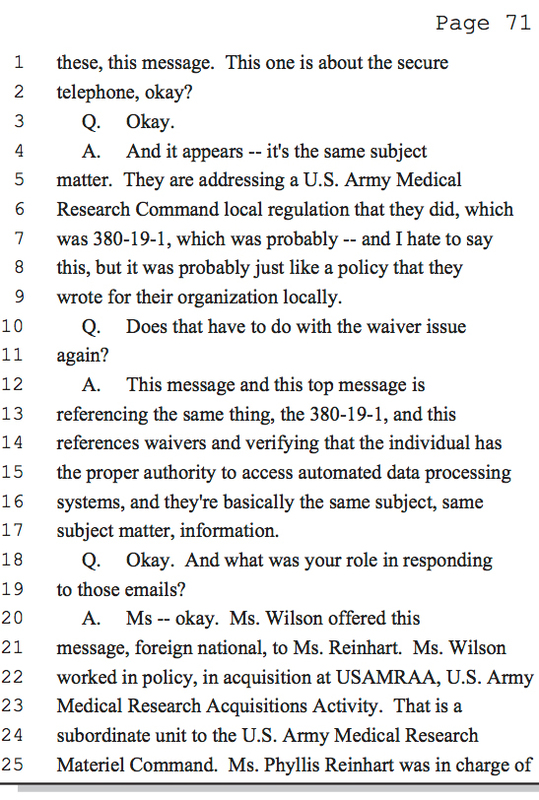 * DXer asks: why is Ivins’ polygraph not disclosable under FOIA? why is Ivins’ polygraph is not disclosable under FOIA? Currently, it is under seal. Dr. Ivins has passed away. The case is closed. Just because it would not be admissible in court is not justification for its withholding under FOIA. The FBI publicly relied on the polygraphs — both of which Dr. Ivins passed — as part of its “science” in publicly accusing him The FBI should produce it to GAO and it should be disclosed by DOJ under FOIA. * All of Amerithrax “Ivins Theory” was a crock. 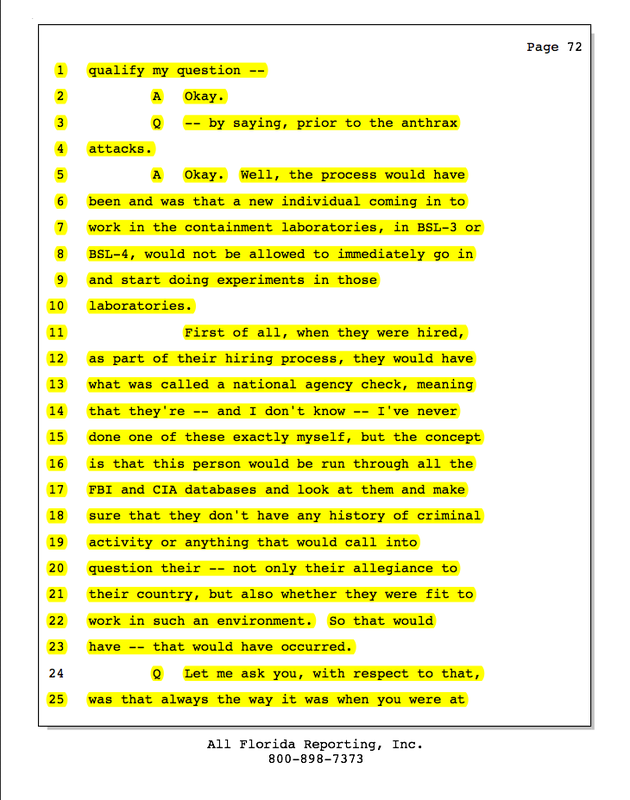 DXer commented on * Did the FBI Scientist Throw Out The Other Slants That Did Not Use Specified TSA Remel Slant Or Only Dr. Ivins’ February 2002 Submission From RMR 1029 From Which Its Scientists Had Made A Dried Powder? Who Threw It Out? DXer: It was the lab that threw out Dr. Ivins’ slant that admits to having made a dried powder out of RMR 1029. Ivins didn’t. The expert working for the FBI did. All of Amerithrax “Ivins Theory” was a crock. And the FBI says Ivins acted deceptively? It was the FBI that never disclosed its expert had made a dried powder out of RMR 1029. * Why doesn’t the FBI offer America a credible story? Why don’t we know who is responsible for the 2001 anthrax attacks? It should be completely clear to anyone who has read the many posts on this blog that the FBI has no credible case against Dr. Bruce Ivins. The FBI assertion that Ivins was the sole perpetrator, or even that he was involved – has been totally demolished. science that proves innocence instead of guilt. Yet the FBI will admit nothing. 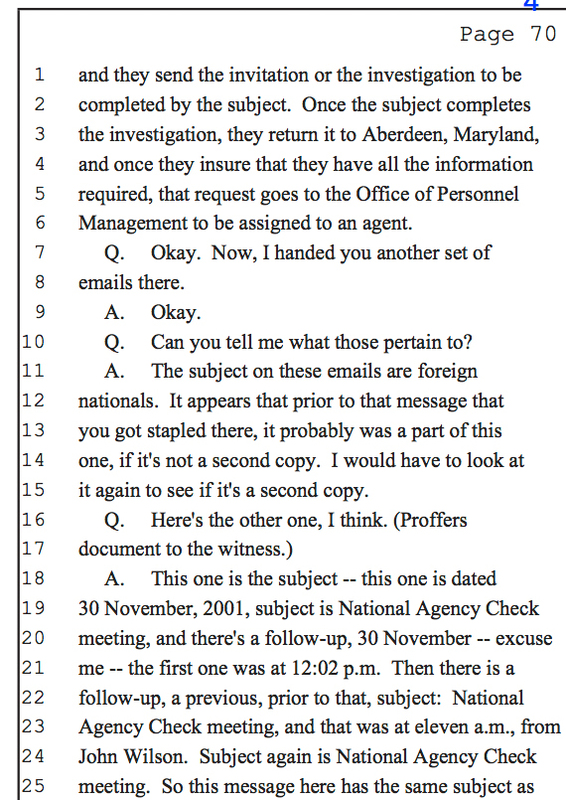 There is still stonewalling of FOIA requests. The GAO, which years ago was asked by Congressman Rush Holt, to review the FBI investigation, is way past any deadline any reasonable person would have set for a response. Who will come forward to demand a full disclosure? 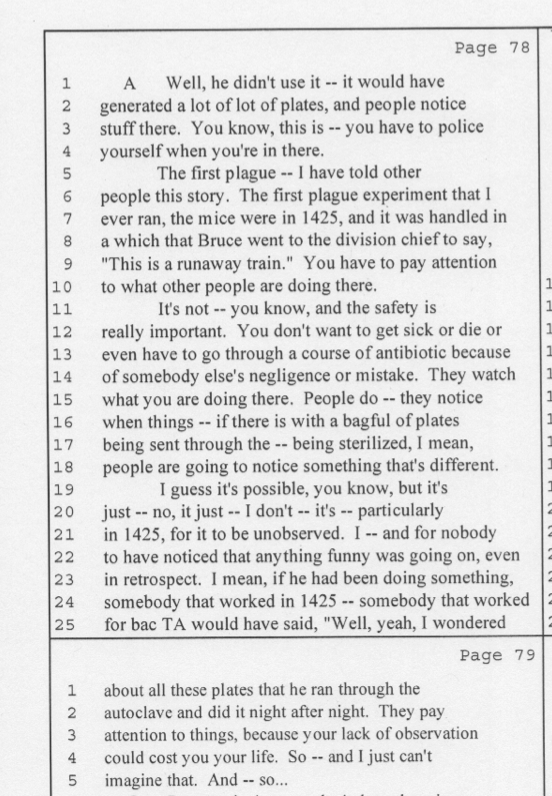 * Dr. Russell Byrne, in his deposition produced today, explained people would have noticed all the plates run through the autoclave night after night because their life depends on paying attention.